The grand jury prize will be awarded by a qualified jury to a short film focused on the experiences of a person who brings DIFFERENCE to Stark County Ohio. (1. )The short film must not exceed 40 minutes. (2.) The short film may not include any copyrighted material. (3.) films must be in English or have English subtitles at the time of submission. (4.) Films must be made between January, 2016 and submission. (5.) Films must not be available for viewing on the internet prior to the film festival. (6.) Films must be accompanied by submission materials. You may submit the submission materials through filmfreeway.com directly to the Canton Film Fest. 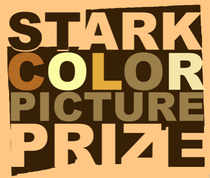 Click here to read the rules for the student prize and the phonefilm prize.